I found this free pattern on Ravelry.com. You will have to create a sign-on to access the patterns. 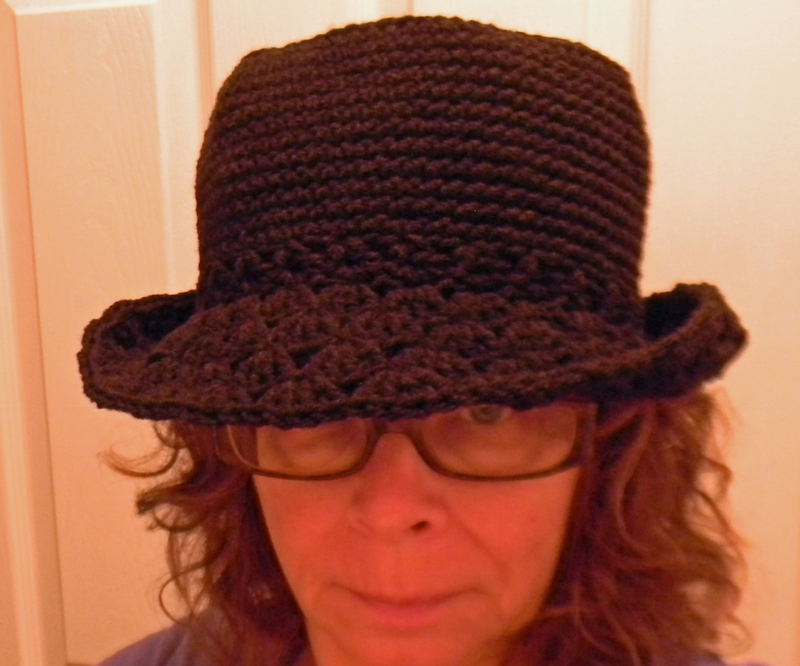 It is made for raffia but I crocheted it with Red Heart Super Saver yarn in black. 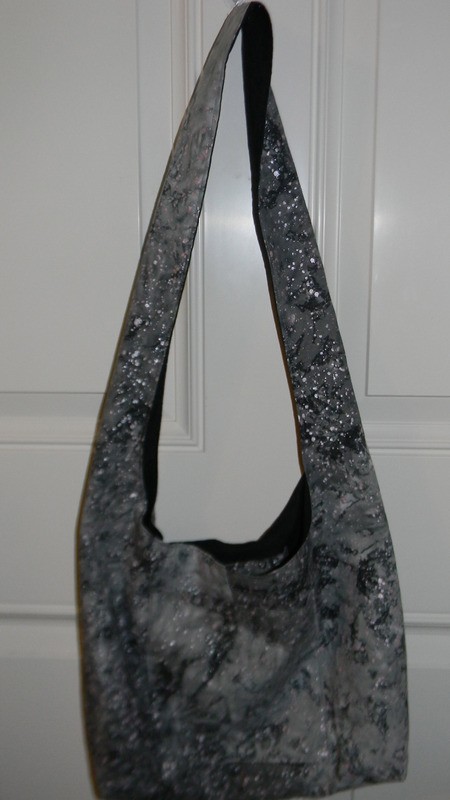 The instructions say to use a size 3.5mm/E hook but I read that it turned out VERY small so I used a size H hook. I have a very small head so it ended up being to big for me but will give it to a friend. I also did not crochet to row 31 for the sides but stopped at row 24. The hat ended up being approx 24″ circumference and I measured my head at 20 1/2″. I will be crocheting it again and try a size F hook. This turned out to be a very quick and easy hat and here is a row that you can add a ribbon if you want. If you like hats give this a try! This entry was posted in Crochet, Hat, Posts and tagged Crochet, Crocheted hat free pattern. Bookmark the permalink. Thank you that helps a lot…I got to brim and thought top was to long for a fedora. Appreciate your answering me.